Are State-run Single-Payer Healthcare Systems Viable? According to a report in the Wall Street Journal, the California State Appropriations Committee is looking at a 15% payroll tax on earned income as one idea — which mirrors recent attempts by Vermont and Colorado. Colorado is more of a swing state — so it was thought to be a better test for other states. It’s also larger than Vermont by almost 9X. In the end, voters overwhelming rejected the measure (~80%) so it wasn’t just defeated, it was crushed. Vermont’s governor (Peter Shumlin) calculated the fiscal hurdle as too high and simply abandoned the initiative before it got to the ballot. As the state legislature considers Senate Bill 562, which would establish a single-payer state health insurance program, 65 percent of all adults and 56 percent of likely voters say they favor such a plan. But support falls to 42 percent of adults and 43 percent of likely voters if the plan would raise taxes. Overall, strong majorities of Democrats (75%) and independents (64%) favor a single-payer plan, while a strong majority of Republicans (66%) are opposed. 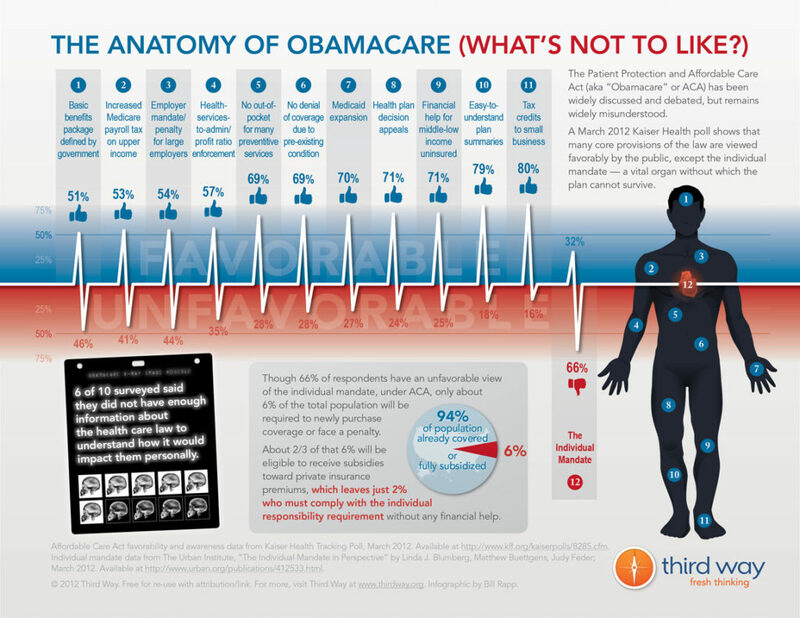 This polling is eerily (but not surprisingly) like some of the early Obamacare polls. Basically, 11 of the 12 Obamacare provisions polled positively (and 7 of the 11 polled near or above 70%). The 12th provision that polled with a big negative? The individual mandate (66% against). The larger narrative here has not changed since Obamacare was passed. Everyone likes getting healthcare services, but the vast majority of people don’t want to actually pay for them. It’s juvenile, but that’s the reality and that debate doesn’t magically change by moving it to the state level. Also, like Colorado, the opposition to a single-payer system by industry stakeholders would be likely and significant. Assuming a state managed to cross the fiscal Rubicon with voter support, there’s an even bigger systemic challenge to maintaining the actual system. With higher income (and payroll) taxes, at least some wealthy individuals and businesses would be incentivized to move out — and certainly some citizens of other states who wanted (and needed) healthcare would move in, so the cycle of adverse selection begins — just in a different way. One of the benefits of a single-payer system is, of course, single-pricing, but in order to support that, states would likely need to cut what doctors and hospitals charge — which would create another exodus — doctors and graduating medical students who could easily relocate to other states for better rates. Also, unlike the federal government, individual states have to actually balance their state budgets so the spiral generated by opposing forces (tax revenue leaving the state and the sick arriving in need of healthcare) would, over time, create a “death-spiral.” Tax increases would likely be annual so it’s more than just a one-time tax hit. 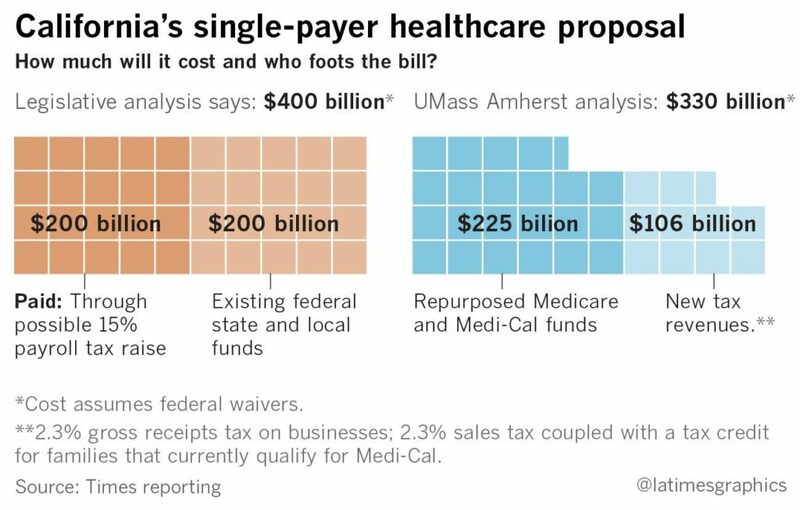 Given all the variables — especially the fiscal ones — I see no viable path forward for state-based “single-payer” healthcare. The sentiment is there — and that will help drive the national debate — but the size and scope of a single-payer healthcare system is so large and fundamentally different, that running it entirely at the state level quickly devolves into a fiscal non-starter.